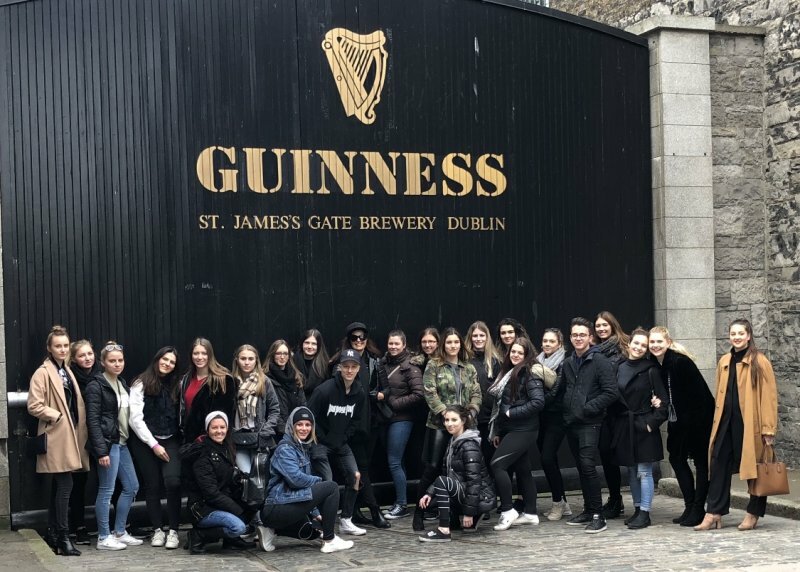 On the 29th of March, we, the class 5AB and our professors Ms. Jandrasits and Ms. Pone, started the adventurous journey to Dublin, Ireland. After a short and scenic flight, we arrived at our accommodation close to the centre. Since travelling makes you hungry, we treated ourselves to nice burgers and traditional drinks in an Irish pub shortly after. The next morning we woke up fresh-faced after having had a good night’s sleep and took off early to tour the historical and picturesque city centre. 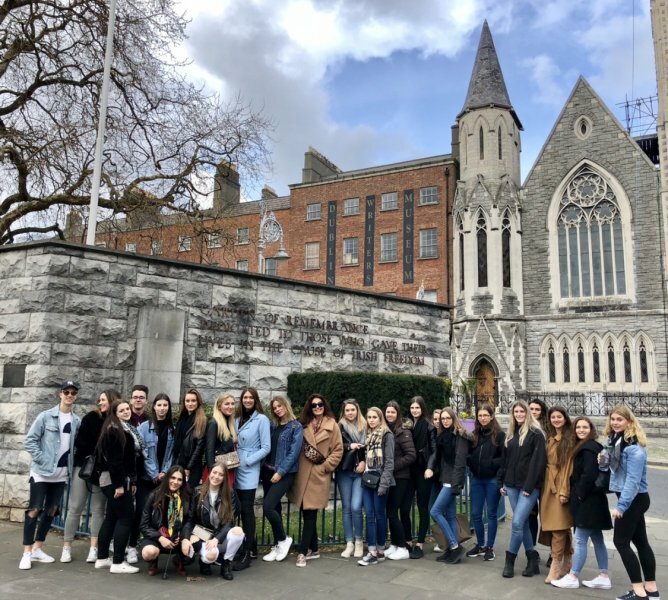 In our free time, we took it upon ourselves to explore hidden parts of the city, go shopping on the world-famous Grafton Street and experience the Dublin nightlife in the well-known Temple bar district. To get some fresh air we took a day-trip to the countryside, the green luscious Wicklow Mountains and lakes in Glendalough. The day before we flew back to Austria, we went to the St. Paul Cathedral and got an insight into the history as well as the production process of the Guinness® beer in the Guinness-storehouse. Despite having enjoyed our time in Dublin, we were happy to go back home to Vienna on Tuesday, 2nd of April.